and Friedrich August Weidenbach (born 1790) had two sons. And boys being boys and girls being girls, they ended up married and having lots and lots of children – who were all cousins. Those found other partners and had even more children, so the list of cousins grew and grew, and some travelled to Australia on the other side of the world . Moving forward 6 generations, interest grew amongst some of the Australian cousins about family history and their adventurous past. Three of us did a reconnaissance trip, then a year or so later we led a group of cousins, and Aunts, to Southern Hills Station east of Norseman, then back to Kulin and Narrogin. Building on the success of this first trip, and the demands from an increasingly interested extended group of relatives, another reconnaissance was completed by the three keen adventurers to a different region and we organised another bash. 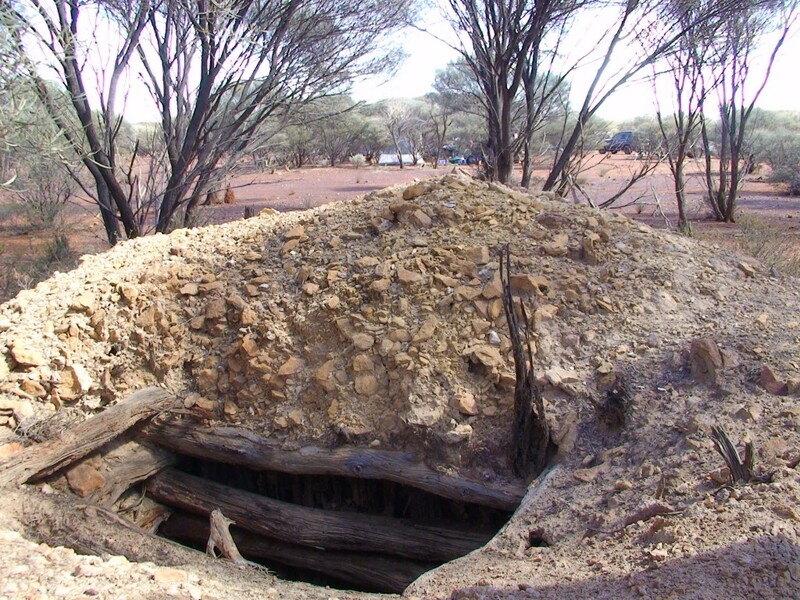 A bunch of descendants from these old German families gathered in the Goldfields of Western Australia to celebrate their connections, learn of the mining exploits of some of the cousins from 1905, and generally have a great time. The miners were Leo and Pete Pustkuchen and their sister Paula, plus Paula’s husband, Tom Scotland. For several of the bash participants, this couple are their grandparents. For one, they were her parents. For others, the relationship is far extended. We welcomed the visitors from Germany, Melbourne, Toowoomba, Karratha, Baandee and Perth in Western Australia. Click on one of the categories in the menu at the top of the page to view each bash, and also see where we have been on the map page. The first trip to Norseman had more rudimentary tracking technology. We knew where we where, no one else did! !